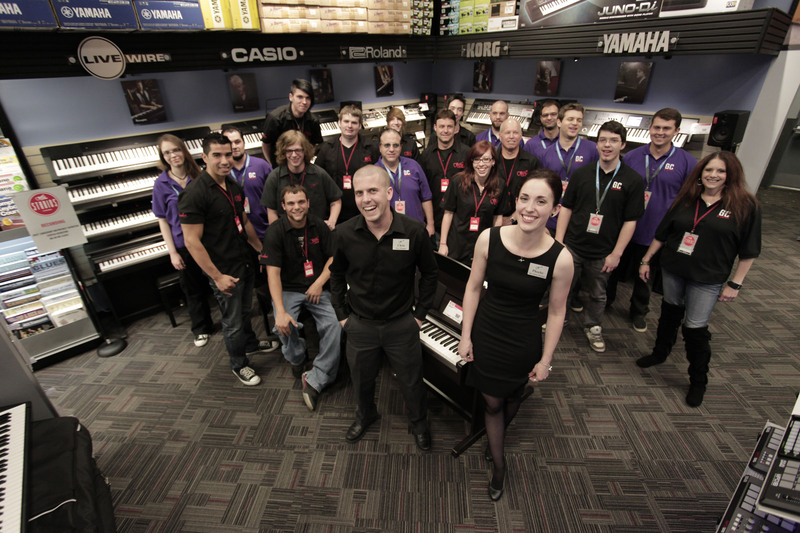 The employee team at the new Guitar Center Danbury store. The storefront of the new Guitar Center Danbury store. The showroom at the new Guitar Center Danbury store. Westlake Village, CA (June 27, 2012) – On the evening of Thursday, June 14, 2012, Guitar Center held the grand opening of its new location in Danbury, Connecticut, located at 15 Backus Avenue, Danbury, CT 06810. Guitar Center Danbury is Guitar Center’s 229th retail location. Guitar Center Danbury’s grand opening introduced customers to a vast selection of products and a dedicated staff with unparalleled musical knowledge and experience. To celebrate the store opening, Guitar Center hosted a Grand Opening Weekend celebration featuring exclusive savings, gear giveaways and free events catered to local musicians. The grand opening events will also include workshops throughout the first two months of the store’s operation. Guitar Center’s newest Danbury location features showrooms for customers equipped with the latest products for musicians – from guitars, amplifiers, percussion instruments and keyboards to live sound, DJ, lighting and recording equipment. The new store features Guitar Center Studios, an in-house, state-of-the-art lesson facility, which is creating unrivalled opportunities for Danbury musicians of all ages and skill levels. Guitar Center Studios provides music lessons from beginner to advanced featuring certified instructors teaching world-class curriculum as well as one-on-one courses on Pro Tools, Logic Pro and GarageBand. Guitar Center Studios is now the most modern and affordable lessons facility in the area. 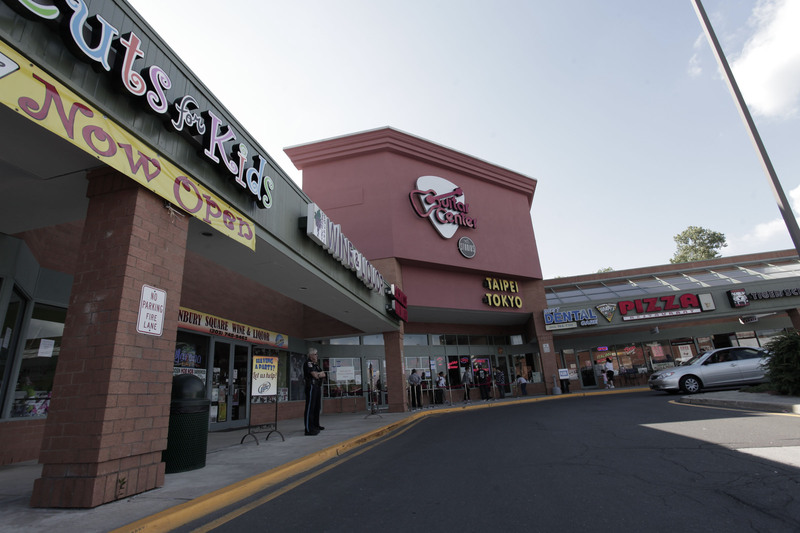 Guitar Center Danbury also features GC Garage, Guitar Center’s on site guitar repair service. As part of Guitar Center’s initiatives designed to educate and inspire artists nationwide, Guitar Center Danbury is offering unique opportunities for musicians to craft their skills, maintain their instruments and experience many other aspects of the music industry first-hand. Musicians interested in learning about the industry are able to come to the store to interact with and pick the brains of several industry leaders. 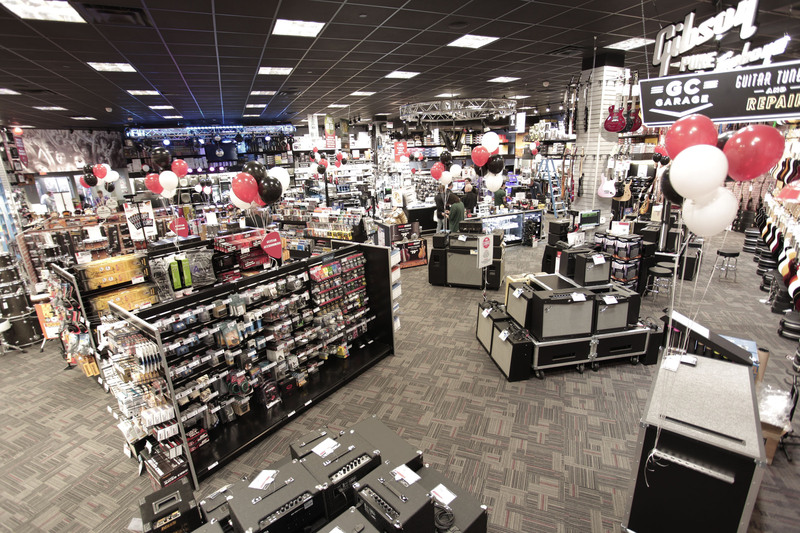 Danbury shoppers are also able to enjoy Guitar Center’s new multi-channel “endless aisle,” which includes multiple combinations of product options to conveniently choose from. Not only does the “endless aisle” include Danbury inventory, but it also provides easy access to $400 million in new and used inventory located in hundreds of stores and warehouses across the nation. Customers have the ability to combine a myriad of in-store, online and phone options to purchase music equipment from anywhere they may be, allowing for a personalized and convenient shopping experience. Free Recording Made Easy classes are conducted every Saturday from 10:00 to 11:00 am for anyone who wants to make the exciting journey into recording their music. • Guitar Center Singer-Songwriter is an artist discovery program which aims to find the nation’s best unsigned singer-songwriter. The winner receives a career-altering prize package including recording 3 songs with accomplished GRAMMY® Award-winning Producer John Shanks, recording time at Converse Rubber Tracks studio and $10,000 cash. • Guitar Center's Battle of the Blues is a nationwide amateur guitar skills competition with the goal of finding the next great undiscovered blues guitar player. This year’s winner, Jonathon “Boogie” Long, performed alongside GRAMMY-winning guitarist Warren Haynes at the Grand Finals in LA, and won an incredible prize package valued at over $50,000. • Guitar Center’s Drum-Off, entering its 24th year, is the nationwide search for the next great undiscovered drummer. Drummers from across the nation compete in the world’s largest drum competition, vying for thousands of dollars in prizes and the coveted title of Guitar Center’s Drum-Off Champion. The grand prize package is valued at nearly $50,000. Guitar Center Danbury is open seven days a week. Store hours are 10:00 a.m. – 9:00 p.m. Monday-Friday; 10:00 a.m. – 8:00 p.m. Saturday; and 12:00 p.m. – 6:00 p.m. Sunday. Photo Caption 1: The employee team at the new Guitar Center Danbury store. Photo Caption 2: The storefront of the new Guitar Center Danbury store. Photo Caption 3: The showroom at the new Guitar Center Danbury store. Guitar Center is the world’s largest retailer of guitars, amplifiers, drums, keyboards, recording, live sound, DJ and lighting equipment. Our retail store subsidiary presently operates 229 Guitar Center stores across the U.S. We are also the largest direct response retailer of musical instruments in the United States through our wholly owned subsidiary, Musician's Friend, Inc., and its catalog and Web site, www.musiciansfriend.com. In addition, our Music & Arts division operates more than 100 stores specializing in band instruments for sale and rental, serving teachers, band directors, college professors and students. More information on Guitar Center can be found by visiting the company's Website at www.guitarcenter.com.